If you just moved into a new house or apartment, you might want to make it as eco-friendly as possible. The more we all do to live sustainably, save energy and water, and repurpose materials, the better off we — and the earth — will be. Don’t worry if you’re on a budget. Eco-friendly living is often cheaper than ignoring sustainable practices! 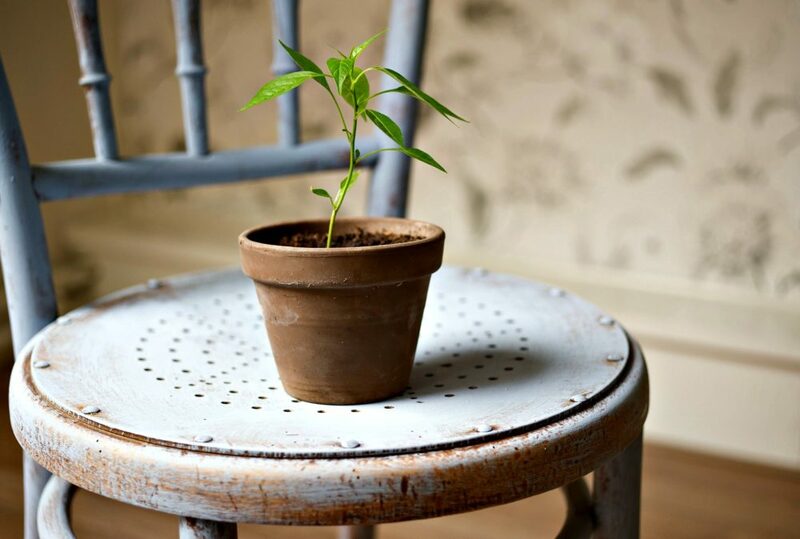 #1 – Go green with your home decor. Plants are healthy to grow outside — and inside, too! All humans need oxygen to breathe. Carbon emissions are one of the factors behind global warming. Well, plants breathe in carbon dioxide and breathe out oxygen. So, the more of them the better! A few well-placed houseplants will not only make your house look beautiful but contribute to healthy air. #2 – Catch rain water and reuse it. You have to water those plants. Yet many areas of the U.S. are suffering a drought, and water costs add up. The best solution is to catch rainwater to use on your plants. Rain barrels are inexpensive and can be placed out overnight to catch the water. You can also use plastic buckets or bottles that you already have. Just remember to empty the containers of rainwater frequently — since standing water attracts mosquitoes. #3 – Repurpose used furniture. 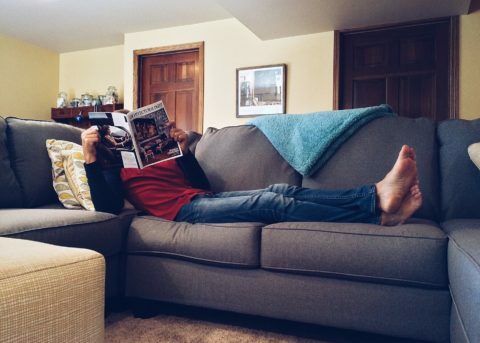 Considering a new sofa or chairs for the living room? Although many people don’t associate second-hand furniture with environmental consciousness, repurposing slightly used furniture reuses materials — like cotton, wood, and wool. Buying new furniture is essentially putting out an order for these materials to be harvested. Save trees by repurposing. Look at places like Craigslist, Habitat for Humanity, and local thrift stores when you’re adding furniture to your eco friendly house. #4 – Replace plastic with natural materials. Plastic is made from oil, a fossil fuel, and fossil fuels contribute to global warming. Any elimination of plastic material is good. In the market for a new shower curtain? Buy one made from hemp rather than plastic. Hemp is a natural material. Want to get some new bath mats? Look for ones that are made from natural materials — like cork. They stop slips like plastic, but cork is also a natural material. #5 – Do a home energy audit. Saving energy is one of the best ways to have an environmentally conscious home and cut down on your bills. Most energy comes from fossil fuels — like oil, natural gas, and coal — which all contribute to global warming. The best way to save energy is to have a professional come and do an energy audit. They can tell you which areas of your home are draining energy. If your windows are letting in drafts, for example, they will be able to let you know. If you’ll be renting, talk to the landlord about big stuff — like replacing windows and insulation. If you’re buying a new house, then you’ll want to take these expenses into consideration before you decide on the price you’re willing to pay for the home. #6 – Conserve energy at home. 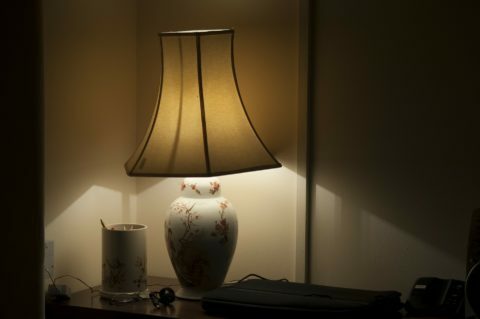 Turn off lamps and overhead lights when they aren’t being used. Turn off and unplug computers when you aren’t using them — to avoid phantom power. Get an inexpensive programmable thermostat that controls your heat and air conditioning. Turn them on only when you’re headed home — not during the day. Don’t use the “heat dry” function on your dishwasher. #7 – Stay away from disposable products. You may be tempted to use paper napkins at dinner or disposable plates and silverware for their convenience. I understand not wanting to wash dishes — but paper is made from trees. Trees breathe in carbon dioxide, and they breathe out oxygen. So, the more of them we have on earth, the better. Less plastic equals less oil consumption. Try to use less plastic inside your eco friendly house. Instead of using disposable products, it’s better to invest in cloth napkins for meals, use regular plates & silverware, or — at the very least — choose green disposable dinnerware. #8 – Stop water leaks right away. Homeowners and tenants are the first to know when water is leaking — because you can hear it! So when a faucet starts to drip or a toilet starts to run, do something about it right away. Either tell the landlord or fix it yourself. Drips and leaks waste a lot of water and increase your water costs. #9 – Use environmentally friendly cleaning products. A number of household cleaners (especially spray-on cleaners) use harsh chemicals. They can be hazardous to your health if breathed in. To clean your oven, apply a paste of baking soda and vinegar, let it set, and then rinse it off. Your countertops can be cleaned by rubbing a lemon in baking soda and using that to wipe stains away.